As explained earlier, one major function of an IP address is to locate. It is technically referred to as ‘geolocation’. It involves the identification of a geographical location of a connected terminal like a phone or computer. In simpler terms, geolocation is the generation of coordinates to find a location may be a place, city or country. The location is equivalent to the public IP Address of a computer device. The location of a devices’ IP Address is where the terminal is at the point of surfing the Internet. IP Address does not usually pinpoint the specific locations of the computer network although theoretically possible, yet limited to only finding the general location of an IP and not the exact location. In clearer terms, it is definitely not true that an IP address is a direct correlate to a home address. Most times, all that one could get is an estimate. 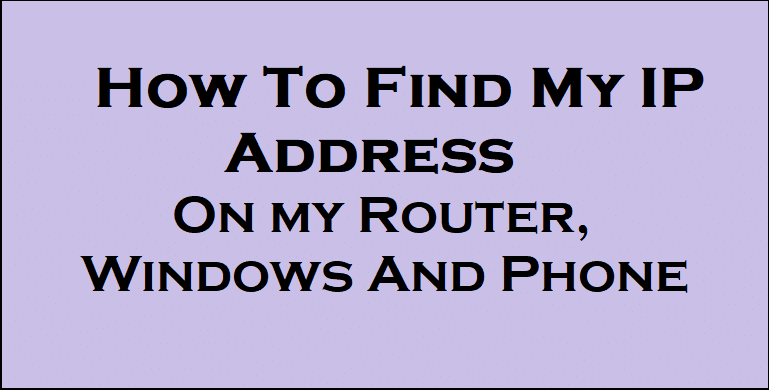 To determine the location of an IP address, one could visit What is my IP or better still, just input ‘My IP Address’ on Google search and results would come out. Some of the information in the search output includes one’s current IP connection, the proxy IP, country, state, network city, ISP, Time zone, Operating system, latitude, longitude, local time and many more. NOTE: YOUR COMPUTER HAS TO BE CONNECTED TO THE INTERNET TO RUN THROUGH THE ABOVE INSTRUCTIONS, THERE WOULD BE AN ERROR MESSAGE. It is very important your cell phone is connected to a Wi-Fi network to find your phone’s address else, you would not see any four dot-decimal numbers.